Most people like listening to music with their computers, smartphones or other devices. The music files come from all kinds of sources, so some of the songs may lack of complete information, like lack of music album artworks. And the post will introduce you how to add album artwork to iTunes/MP3 files/iPod touch on your Mac computers. Many iTunes users are eager to know how to get album artwork to iTunes music library. 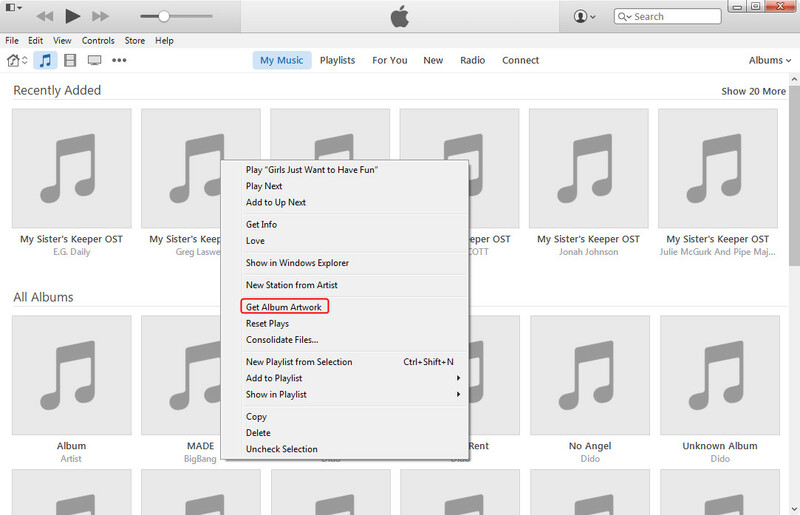 In this guide, 4 ways would be recommended for users to add album artwork to iTunes music library easily. Method 2. Add album art to specific iTunes songs: under Music category, right click a song and then select Get Album Artwork option. Method 3. Add album artwork to songs manually: under Music category, right click a song and then select Get Info>Artwork>option, hit Add browse button to load desired album art or image as artwork from your local picture collections. These 3 methods require you to sign into iTunes Store with Apple ID so iTunes would find album artwork to music files you’ve purchased from iTunes Store. iTunes 11 is recommended. Another limitation of the abovementioned ways is that iTunes may not be able to fix songs ripped from CDs or downloaded from YouTube. You could take a try of the 4th method – make use of 3rd-party album art finder app. Leawo Tunes Cleaner is designed as professional iTunes cleaner program that could act as both album artwork finder and duplicate remover for iTunes music files and other music folders. Kick off Leawo Tunes Cleaner and click Start to Clean iTunes option. This album artwork finder would start to scan your iTunes music library immediately. All results are displayed after scanning. Click the "Fix All" button to let this album artwork finder download and add album artwork to iTunes music files. If you see Unrecognizable Songs interface on this album artwork finder, select a song and then right click it. You would then see an "Edit" icon. A pop-up box would allow you to drag and drop album artwork to selected song. "I’ve downloaded album artwork for some of my mp3 files from itunes, I can see the album artwork in the itunes but I think the artwork is not added to the original mp3 file, when I open finder and locate my mp3 file I don’t see the album artwork as it’s icon. is there any way I can add the artwork to the file so I can see the artwork as the icon of the mp3 file in the finder? MacBook Pro, Mac OS X (10.6.8)." Many Mac iTunes users would meet such kind of questions. Actually, since iTunes 11, Apple has added an album art finder option in iTunes. 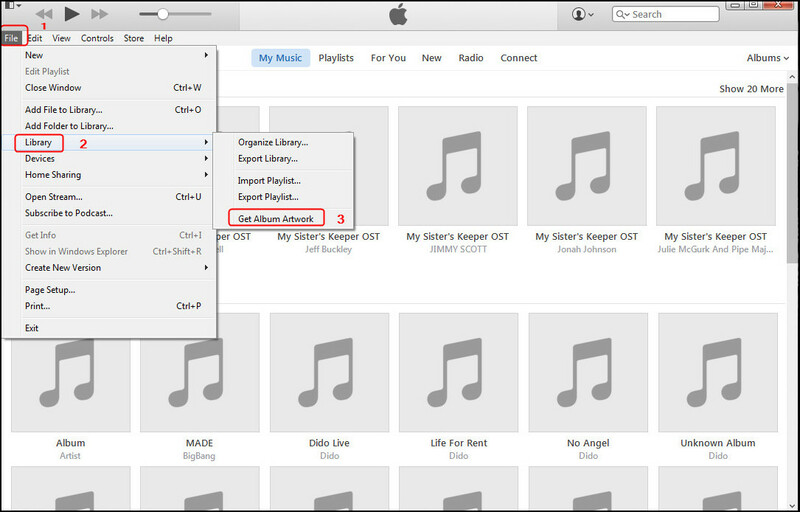 People only need to firstly download desired album artwork onto computer from the web, open iTunes, check a song, click the "File - Get Info" option, go to "Artwork", and then click "Add" button to browse downloaded album art to add album artwork for iTunes songs one by one. To add album artwork to albums, you only need to go to the "Album" tab, select desired album, Ctrl+click and then choose "Get Album Artwork" option. This requires you to log in iTunes Store via Apple ID. If your MP3 files are not purchased from iTunes Store, it might not find proper album art for your album. In such condition (and for people who use iTunes versions before the iTunes 11 update), you could try the below solution – to use third-party album artwork finder apps. On the main program interface of Leawo Tunes Cleaner for Mac, Click "Start to Clean iTunes" entry. This iTunes MP3 album artwork finder software would automatically scan your iTunes music files. Of course, if you haven’t loaded your MP3 files to iTunes but in other folders, you could click "Open Music Files" option to browse your MP3 folder. The scanned results would be displayed in different categories: "Songs Without Album Artwork", "Songs Without Album" and "Songs Without Artist". In the "Songs Without Album Artwork" category, you could check songs to fix. Or simply click "Fix All" button to fix all songs displayed, including songs without album and artist. If you don’t want to fix music files without artist or album, just uncheck all of the music files in "Songs Without Artist" and "Songs Without Album" categories. In "Unrecognizable Songs" interface (if the program shows you this interface), select a song and then click the "Edit" icon to call out the music editor. On the editor panel, you could manually add album artwork to MP3 files by direct drag-and-drop.At last, click the "Apply" button to apply fixed songs to your iTunes or MP3 music folder. Leawo Tunes Cleaner for Mac is a professional 3rd-party iTunes cleaner program that could act as album artwork finder to help you easily get album artwork for your iTunes music library massively and in batch. It could download and add song tags like artist, album, album artwork, title, etc. in clicks. 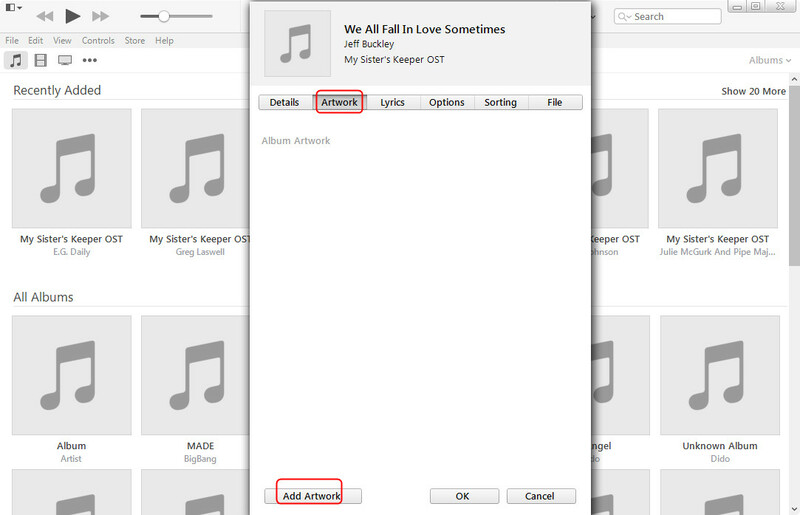 With this album artwork finder, you could easily find out which song files are missing album artwork and then get album artwork to these songs in a click. You could also add album artowrk manually if needed. This album artwork finder for Mac could not only add album artwork to MP3 files, but also other song files in FLAC, AAC, etc. For Windows users, Leawo Tunes Cleaner helps download and add album artwork for iTunes music files on Windows XP/Vista/7/8/8.1 effectively and easily.